During our recent trip to Lake Tahoe (via Las Vegas) we decided to route ourselves though Death Valley. While on the drive we noticed a pull-off where several people had stopped to take a look at the sand dunes. We thought that we would take a look as well - only to find that there were several people walking all over the dunes making it virtually impossible to get a "clean" image without a bunch of people in it. In the end I didn't get the photograph of the dunes that I had hoped for but instead I was fortunate to see this woman taking a moment to enjoy the simple beauty of the desert. Several months ago (on a total whim) I decided to enter a few of my iPhone photographs into the 7th Annual iPhone Photography Awards™ (IPPAWARDS) competition. In case you are not familiar with the IPPAWARDS, here's a little blurb about it: The iPhone Photography Awards™ (IPPAWARDS), is the first and the longest running iPhone photography competition since 2007. The IPPAWARDS has been celebrating the creativity of the iPhone users since the first iPhone has inspired, excited and engaged the users worldwide. Since then every year, IPPAWARDS has selected the best shots among thousands of images submitted by iPhone photographers from 70+ countries around the world. Winners are selected by the jury members in several steps and The Photographer of the Year prize awarded. 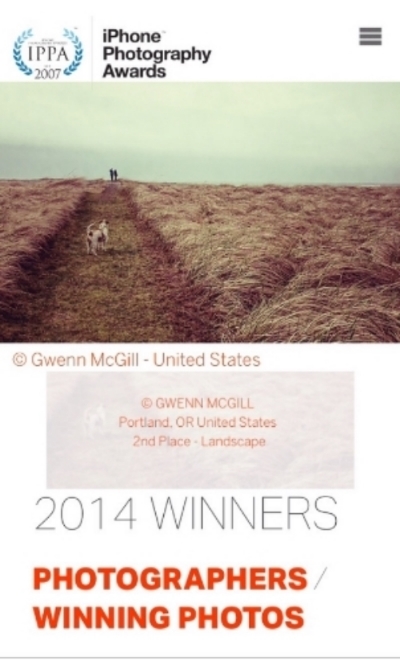 As it turns out, I learned today that one of my submissions placed 2nd in the Landscape Category. I can honestly say that I am completely surprised - and honored by this acknowledgement. I have been following the IPPAWARDS over the past few years and as a result, I have been inspired to be more thoughtful and creative in the ways that I make images. It really is awe inspiring to me to see what the collective talent from throughout the world is creating with the use of their iPhones/iPads, a few apps and a lot of heart and vision. I am truly thankful to the iPhone Photography Awards™ (IPPAWARDS) for creating a platform where people from all over the world can come together to be inspired and recognized for their creativity. 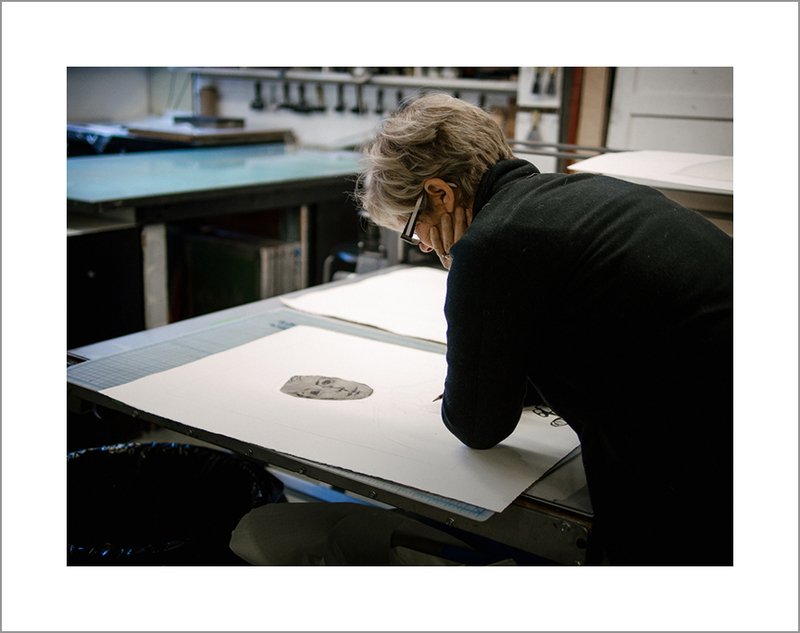 If you have a moment I encourage you to take a look at the images that were made by the other award recipients. You will never look at your iPhone again in the same way. To see this image along with a sampling of some of the other photographs that I have made with my iPhone go here. Several weeks ago I had the opportuntiy to head north for a few days to attend a photography workshop in beautiful Vancouver, BC. While I didn't have much time for sightseeing, Carolyn and I did manage to make it out one afternoon to explore one of our favorite tourist spots - Granville Island. Situated near downtown Vancouver, BC, Granville Island is both a locals’ favorite and a huge draw for visitors. 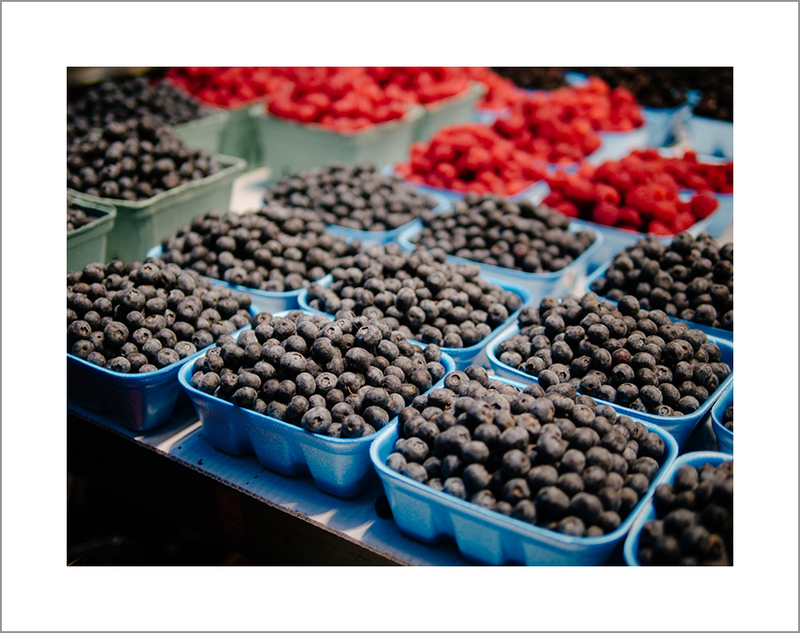 It is centered around the Granville Island Public Market, which consists of over 70 merchants selling a variety of fresh produce, gourmet foods, baked goods, seafood along with numerous other commercial vendors. Locals come here to get started on whatever lunch or dinner menus they are working on, and visitors come to get lost in a dizzying array of fresh smells and lively vendors. In addition to the market, Granville Island has a multitude of small shops, galleries and co-ops. Is a veritable real-life Etsy marketplace -- where you can touch and feel unique, handmade goods in person. We have had the good fortune to visit Granville Island a hand-full of times over the years and each time I see something different that completely fascinates me. 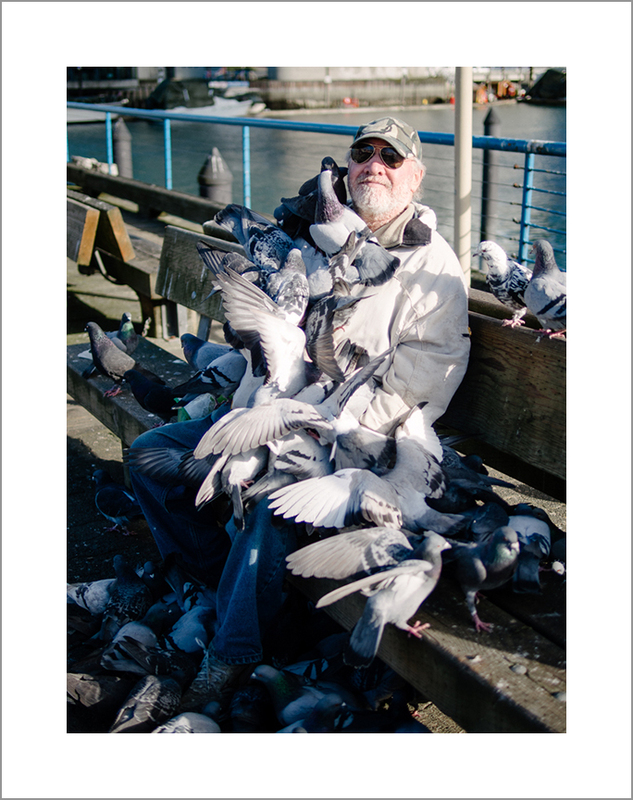 This time it was a man who sat on a bench for hours allowing pigeons to perch on top of him. If we didn't see it for ourselves we would have never believed it. Believe it people. Here's to whatever adventure awaits upon on our next visit to the land of the Canucks! To say that I enjoy visiting Singapore is a huge understatement...I absolutely love it! To me, Singapore is one of those places that offers nearly everything that I could hope to find in a city/country, and then some. It has; warm and friendly people, a community that consists of of multiple cultures, has breathtaking sites, interesting architecture, is politically friendly, is clean, has a lot of sunshine and is surrounded by water and above all - is safe to walk around in day or night. All of this (and much more) make this an ideal place to visit. 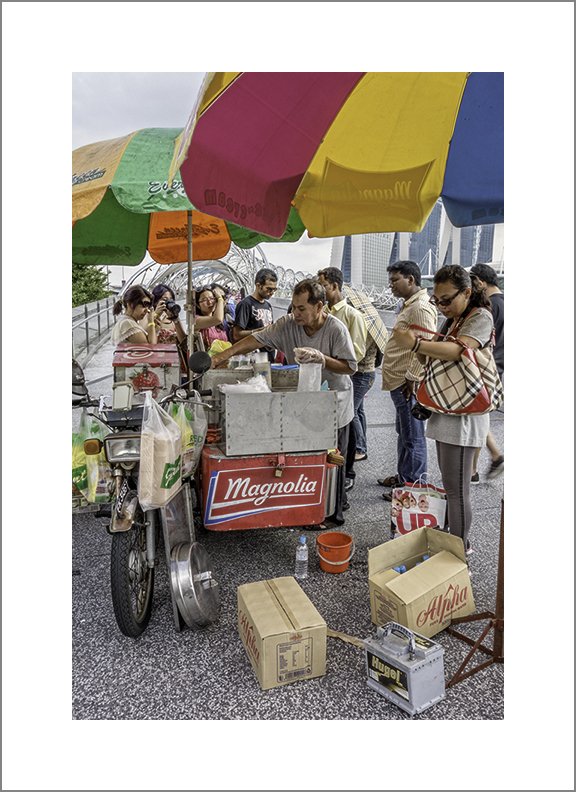 Tourism in Singapore is a major industry and contributor to the Singaporean economy, attracting 13,171,303 tourists in 2011, over twice Singapore's total population. It is also environmentally friendly, and maintains natural and heritage conservation programs. Along with this, it also has one of the world's lowest crime rates. Singapore also has nearly every type of attraction you can imagine; Universal Studios, Underwater World (similar to Sea World), the incredibly beautiful Gardens by the Bay, the world-class Esplanade concert hall (where we have seen the likes of Natalie Cole, k.d. lang and the Count Basie Orchestra, Jurong Bird Park, the famous Night Safari (a zoo that you visit by train at night), a botanical gardens that has one of the largest collection of orchids in the world, the Singapore Flyer the Marina Bay Sands Hotel & Casino and many more that we have yet to see. One of the things that I most love about Singapore is that it truly is a melting pot of many cultures throughout the world and therefore, has a lot of diversity that consists of nearly 5 million people which is made up of Chinese, Malays, Indians, Caucasians and Eurasians (plus other mixed groups) and Asians of different origins. During our visits over the years we have met some incredible people from literally all over the world who are each contributing in one way or another to the overall makeup of this beautiful country. When we first arrived we spent a quiet weekend on the small island of Sentosa - which is still considered to be a part of Singapore and is accessible via a single, long-narrow bridge that connects the city and this small resort island. 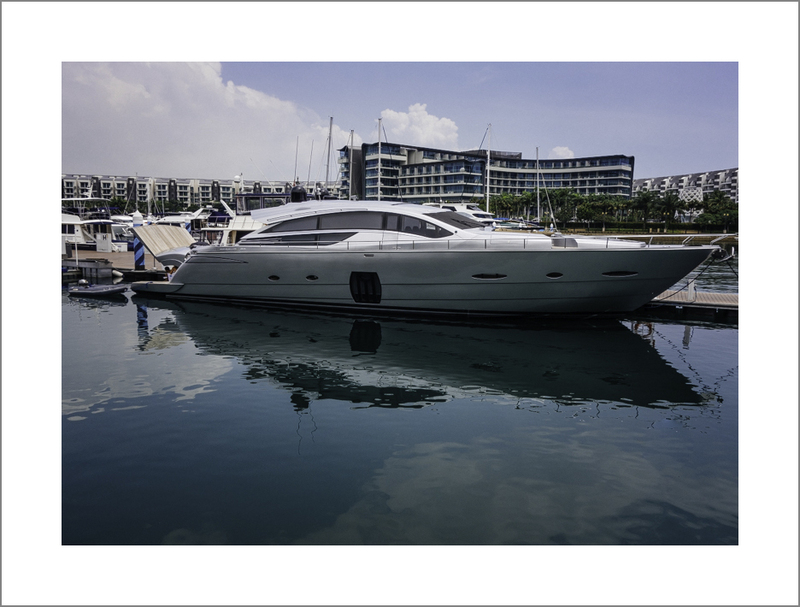 Our hotel was located in Sentosa Cove and sits directly in the heart of a neighborhood of multimillion-dollar homes built around an upscale marina. Each morning we would take a walk around the area and marvel at the the sites of some of the most luxurious boats and homes that we have ever seen. We are talking about a true high-rent district! In fact, we learned that a 2-bedroom condo starts at $30 million (US) dollars. Yes, you read that correctly! Seriously, where do these people get their money? In-between meetings we were able to get out for a bit each day to see and experience some old and new sites. One of our favorite "new" adventures was a visit to the Art & Space Museum. The featured exhibit was Rae & James Eames. While we were familiar with the name Herman-Miller, we had absolutely no idea as to who Rae & James Eames were and their impact on the design world. Both Rae and James were talented artists and designers in their own rite, but it was their combined efforts that made legendary contributions in the areas of design, photography, film and textiles. Here is a link to the exhibit if you are interested in learning more about this incredible couple. After an amazing week in one of our favorite places, it is now time to make our way back home. Next stop - Las Vegas were we will spend some time visiting my family and slowly ween ourselves into winter and the ensuing cold, wet weather that awaits us in Portland. 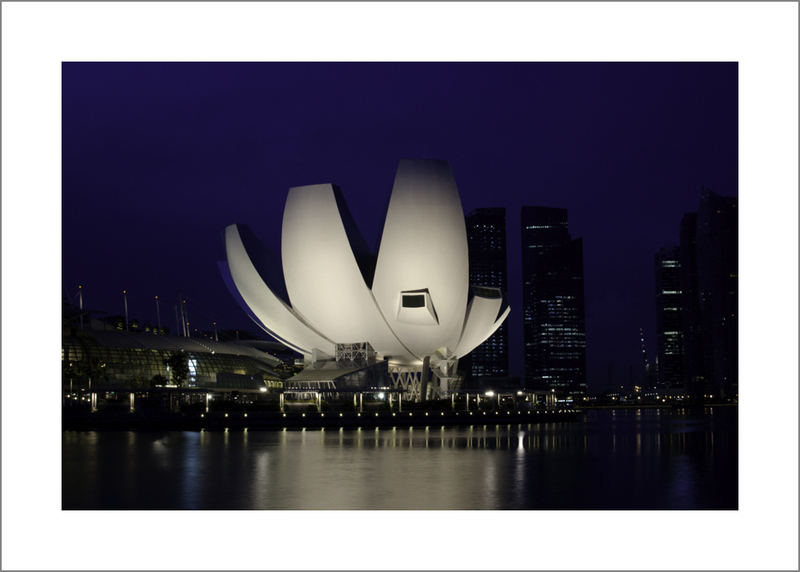 If you are interested in seeing a few more photographs of our time in Singapore click here.